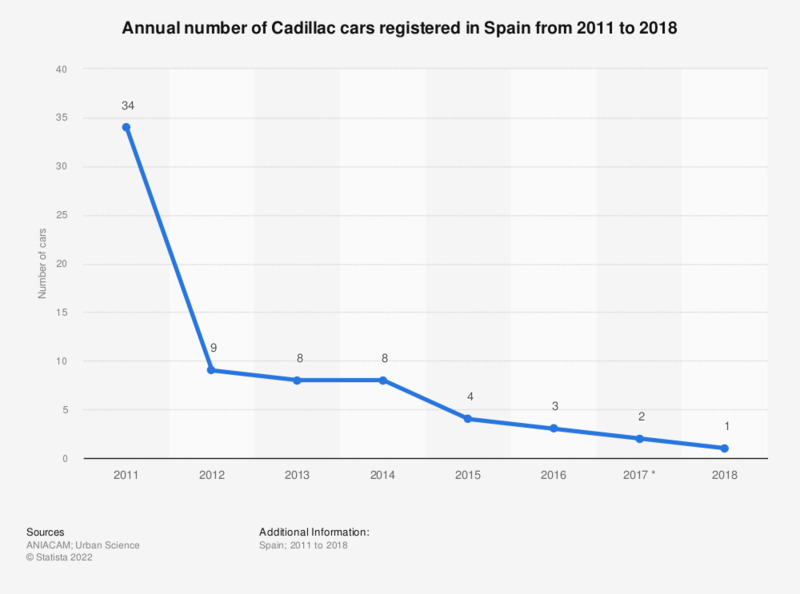 This statistic presents the annual number of Cadillac cars registered in Spain from 2011 to 2018. During the study period, the registrations of this brand within the Spanish market were very small, and they reached their maximum in 2011; year in which a total of 34 Cadillac cars were registered. In 2018, only one car of that brand was registered. * The data prior to 2017 was extracted from previous publications of the source.